According to a recent article in Brides magazine, the average cost of a wedding in the UK is £30,111. This staggering figure is enough to make many of us weak at the knees -it’s a deposit on a house! Yet we also know that your wedding day is a once in a lifetime experience, and therefore it deserves to be incredible and magical. If you’re seeking a luxurious wedding on a more realistic budget, we may have the answer. We have just released a wonderful wedding package for the brides and grooms of Essex. 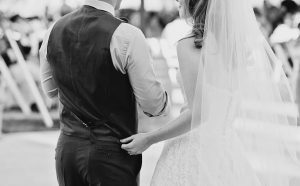 Our wedding package has been carefully crafted to ensure that you still have the elegance you dream of, but at a fixed price. It is so easy when you are planning a wedding to go over budget, especially when you don’t choose a wedding package. 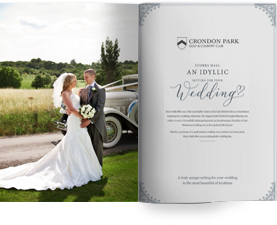 With our renowned classic menu and drinks package, you and 60 guests can enjoy a perfect day set within the beautiful backdrop of Crondon Park. You will have the exclusive use of Baronial Hall and Ceremony Room. Built in around 1600 from original ship timbers, The Baronial Hall is unique in charm and character,and is considered to be one of the finest examples of a Tudor/Jacobean light oak beamed barn. Due to its history and beauty it has now become one of the most desirable wedding venues in Essex. As well as the Hall, you will have access to a stunning private garden and patio – what a wonderful setting for your wedding photographs. After the ceremony your guests will be treated to a drinks reception, followed by a delightful three-course wedding breakfast. Wine will be available on each of your tables, as well as a glass of something special for the speeches. This will be followed by tea, coffee and a delicious selection of mints. As your day draws into the evening, we will provide a scrumptious evening buffet for all your evening guests, together with bar facilities, and the entire waiting and bar staff throughout the day. To ensure your wedding flows seamlesslyfrom one part to another, our front of house team will be on hand. We will manage any situations that arise, so you can relax and enjoy your day without any stresses or worries. This is a day you should enjoy,and treasure every single moment of; we are here to make sure that you do.